Morphe’s professional brushes are not only beautiful, they are also considered among the best on the market, enabling you to build, bluff and blend like a pro. The Large Soft Fan Brush (M310) not only delicately sweeps away excess eyeshadow fall out, it also gently strokes highlighter, blusher and glowy contour across your face for a subtle yet shimmering ‘kissed’ glow. Beloved by professionals and beauty junkies alike, Morphe’s professional yet affordable make up brushes enable you to blend the rules and create your most ambitious and flawless beauty look yet. With a spectrum of styles for effortless application of powder, cream and liquid formulations – from the softest, fluffy powder brushes to flat-topped buffing brushes and tapered, mini blending brushes – once you go Morphe there’s no going back. Effortlessly sweep away excess fall out powder, or sweep highlight across cupid’s bow, cheekbones and your nose tip for a pop of highlight. The brush has a really bad smell to it no matter how many times I wash it and the hairs fall out easily. When I received the brush it stunk of pee so I tried washing it but it made the smell even worse. The brush sheds a lot and can’t even use it because of the smell, waste of money. Good brush, blends easily, but shed quite a bit. I love my Morphe brushes. There is the occasional shed bristle, but overall, for the price, they get the job done well, and this fan brush is no exception. It's an OK brush but I find that it sheds far too much. Not as effective as I hoped it would be. This is the first morphe brush I have ever purchased and I am amazed by the quality. I bought this for Christmas for one of my friends and it arrived very quickly. The brush is amazing quality and distributed the highlighter onto the face well. I would definitely recommend this to anyone looking to buy it. It's the perfect size and is a good price! It's ok, but I'm not that impressed. It doesn't seem to pick up my blusher or highlighter as well as other my other brushes, which I know is the point as it's supposed to be for those who like a lighter touch. The thing is though, when I apply the products they go on a bit unevenly, so I have to do it again and again and by that point I feel I should have just used my usual brushes. It's a good brush, but it has a weird smell and sometimes feel like it does not pick up as much product as I want but can definitely be used to build up highlight. The brush is great, brilliant for highlighting however I'm reluctant to use it because of the horrible smell that the bristles have. Ever since I purchased it i noticed the strong smell and even after cleaning it the smell still remained. This brush is okay. It did not shed for me at all, but it wasn't as soft as I expected. Not really easy to use. Very easy to blend, soft and nice, use it to put highlighter. Sheds way too much. From the minute it arrived at my door it looked like I had been using it for months. It's ok for the price but you can get much better! I personally don't like to use fan brush which I got to know after buying this brush lol. 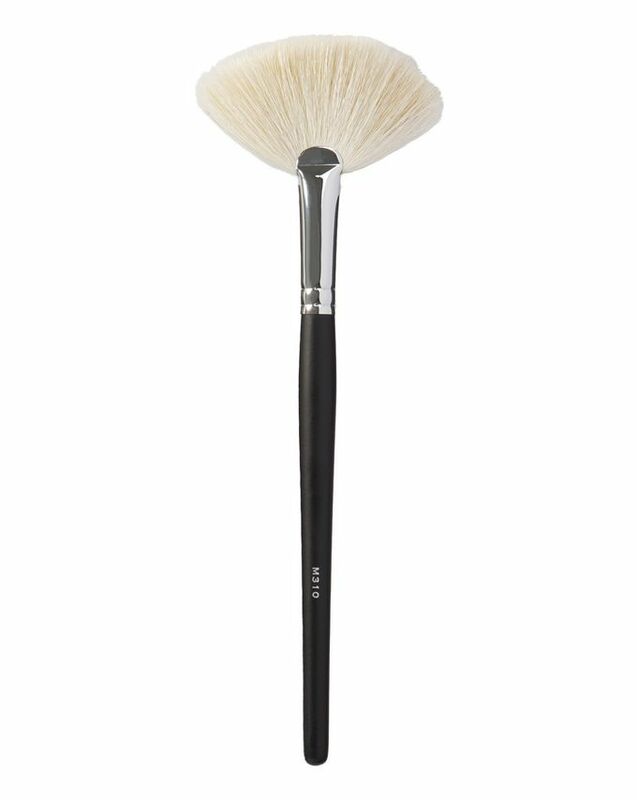 Anyway, if you like fan brushes than this is a good quality brush. I read the reviews and had second thoughts of applying this product, but I wanted to try it out for myself so I purchased it! This brush did not have a bad smell, it's honestly so soft against the skin and picks up the product as its suppose to. This product was sold out so I'm not sure if they fixed up the strong odour but I know for sure mine smelt fine! I would highly recommend this product. It's not too big not too small. It's the perfect size! The brush frays after a wash and still smells of goat and my father described it as "giving you the complexion of a mountain goat', it still however does the job of highlighting my face however is a little patchy. Overall I would give it a solid 1/2. Love this brush, great to apply highlighter in specific areas of your face. A must have in anyone's brush collection. Great quality for the price.